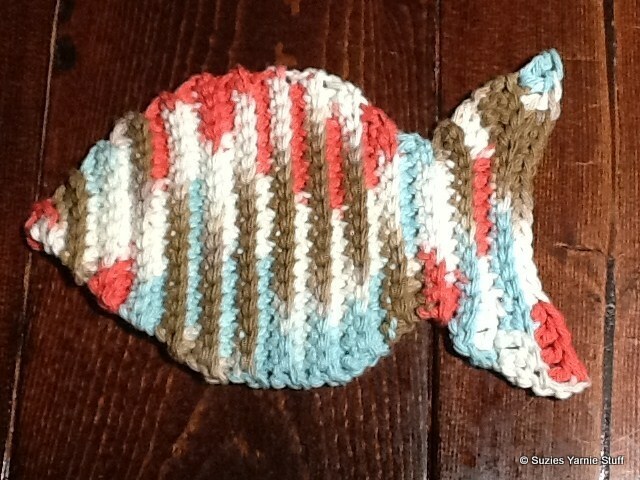 Many thanks to Shirley L. for testing this pattern. Sugar ‘n Cream 2.5 ounces was enough for 3 wash cloths. Fish is worked in the back loop through out. I don't remember how big mine turned out. Sounds like yours is an okay size.